When viewing a trade, you can see the position and price excursion data (MFE and MAE) right below the execution list for the trade, as described in MFE and MAE calculations. This data can be extremely useful for seeing your maximum interim profit or loss in the trade, and in aggregate can be very useful for analyzing stops. Especially when looking at position MFE/MAE, it’s not always obvious on the price chart where this occurs, if you’re scaling in and out of a trade. Having the timestamp quickly accessible makes it much easier to find! MFE/MAE data is available for all silver and gold subscribers. During the import process, Tradervue groups individual executions into trades. If you want to make changes to how these executions are grouped, we’ve had the ability to split and merge trades. Up to now, if these were done in the same trading account, there was no easy way to split out the intraday trade (the buys and sells on 12/14) into its own trade, because you weren’t flat immediately before or after the intraday trade. There wasn’t an easy way to merge together the trades on 7/19 and 7/21, without also merging the trade on 7/20. Today, we are making two changes to give you the flexibility to split and merge trades how you wish. You can now select any executions you want from a trade, and as long as together they form a closed trade of their own, you can split them out into their own trade. So in our example above, you could split out the intraday buy and sell on 12/14 into their own trade. You can then choose the executions to split out into their own trade. You could now merge the trades on 7/19 and 7/21 together, and leave the trade on 7/20 standing alone. These new features are available today for all users! You can find the new report in the Reports View, Detailed tab, Days/Times group. The report is interactive, as well, so you can click on a bar in the report to create a filter showing only trades that make up that bar. So if you’re doing particularly well with your trades that are 2-5 minutes in duration, you can drill down into them for further analysis. If you haven’t used the interactive reports before, here’s a short (3:01) video demonstrating how to use them. 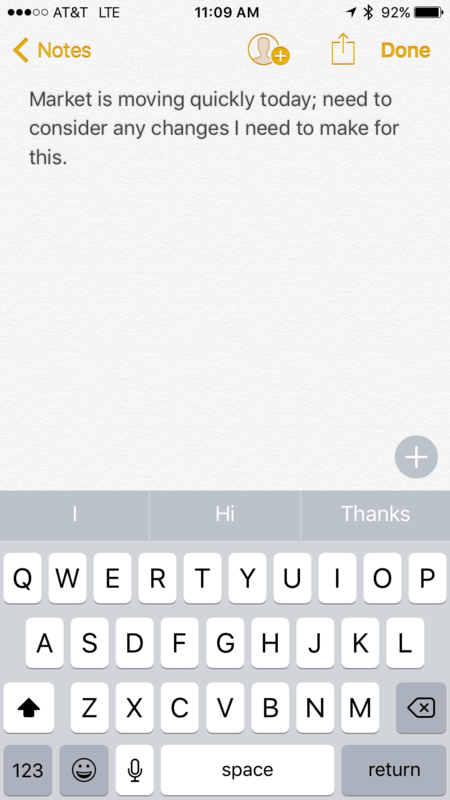 A while back, we wrote about a 1Writer action to post journal entries and notes from 1Writer on iOS. 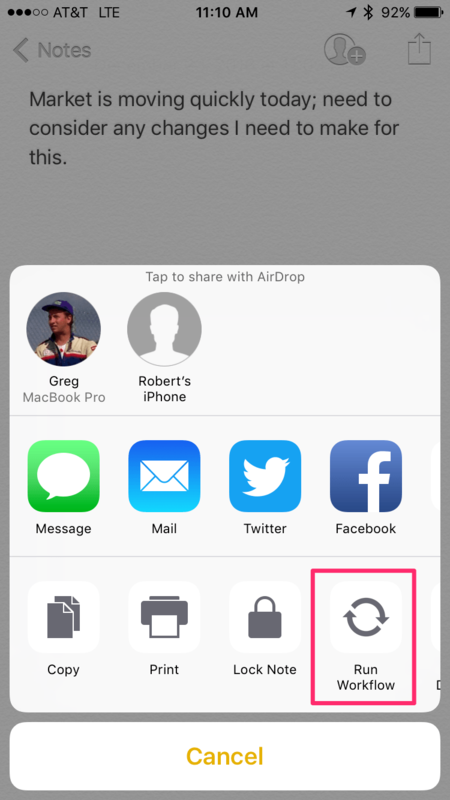 That proved to be a pretty popular idea, and today we are making it easier to do that from almost any iOS app. 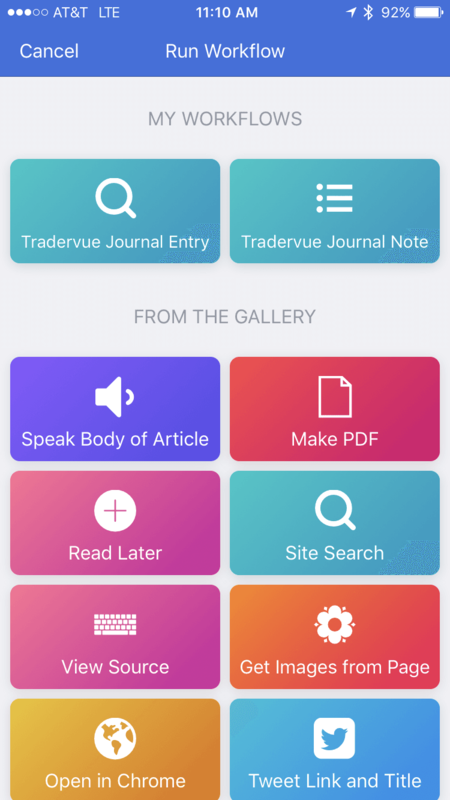 When you install those workflows, use the customize window that pops up and enter your Tradervue username (or email) and password; these will be stored on your device, and will be used by Workflow to access our API and send data to Tradervue. You can change these later if you wish by editing the workflow. 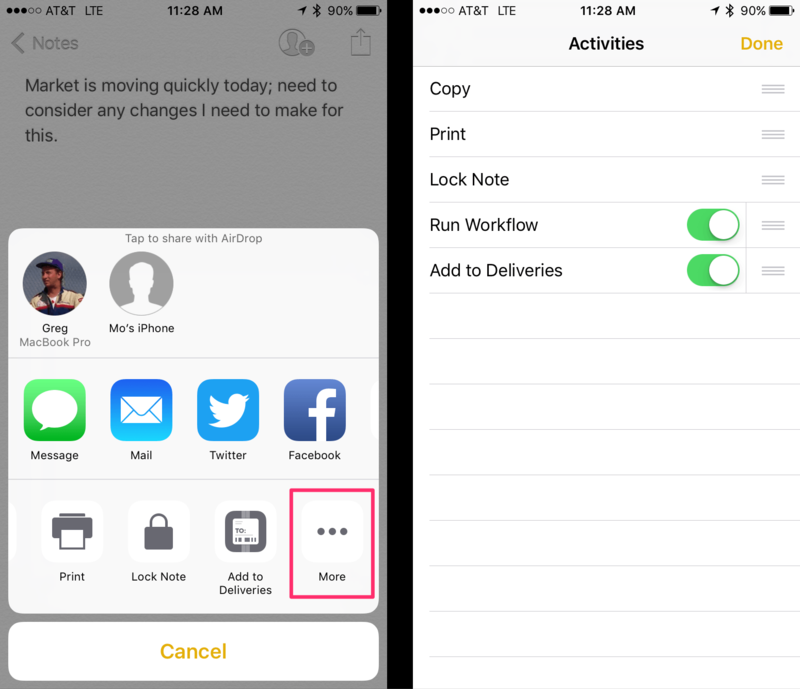 Workflow is a powerful app on iOS, and when paired with the Tradervue API, there’s no limit to what you can do. 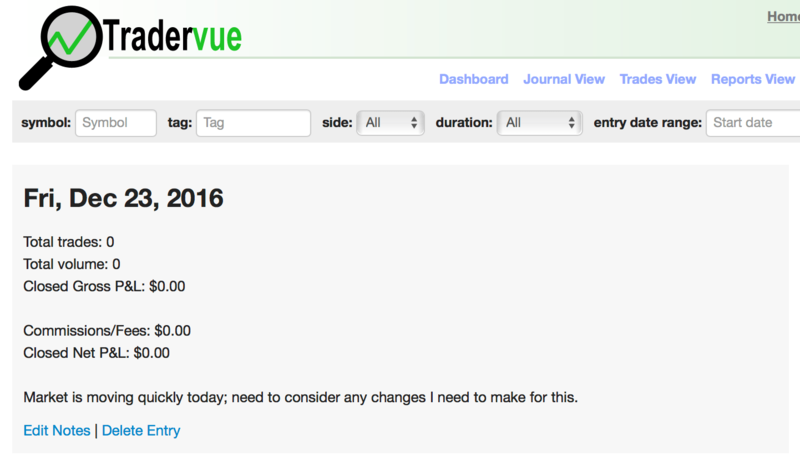 We’d love to hear how you use Workflow to streamline your process of journaling and using Tradervue!